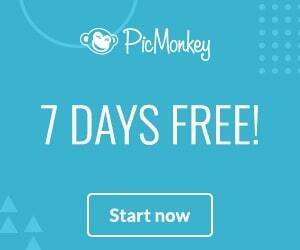 Today for Tech Tuesday, let's share some free web-based tools we just didn't have time to get to in our first 14-weeks together. If you are just joining our blog and do not understand the whole 15-week-blogging-thing, read this post here. Ready for our final tech tools? ...I need a tissue...weep, weep. Blot, blot. UPDATE: The blog will continue! Yahoo! Get ready for fall! 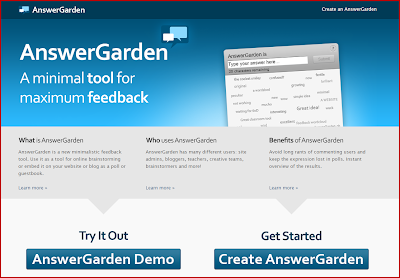 AnswerGarden - This free web tool allows you to create a question and then, collect simple feedback or answers from your students or colleagues. Most answers are limited to 20 characters of text and no log-ins are required. 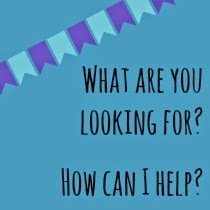 Click on this example I created to tryout AnswerGarden. ﻿Quizlet - Many students benefit from flashcard repetition and seeing information over and over and over again. 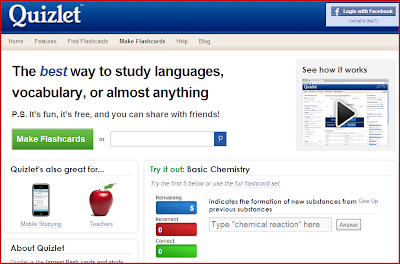 Check out Quizlet's flashcard database or create your own flashcards for your content area. Better yet, assign students to make their own flashcard sets and then reuse their sets with future classes. How efficient and brilliant! Media Converter - I can't believe I almost didn't share this most useful, free web-based tool with you. 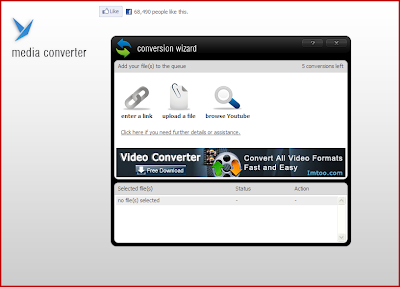 Basically, you can take any audio or video file and convert it to another file type. For example, I often times use YouTube videos with my college students. Sometimes, though, the YouTube video is hard to find or is deleted. To solve this issue, I convert a YouTube video into an "mp4" file and save it to my flash drive. Yep, you just heard me. I save it to my flash drive and the file is now mine! No Internet connection necessary anymore! Of course, I always - for copyright compliance - share my source with students. But, I don't have to mess around with YouTube, spotty Internet connections or security walls when I use Media Converter. See what you think, media moguls. 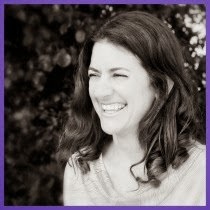 Go forth and enjoy all the amazing tech tools out there, fabulous blog reader! When you find new ones you think I'd enjoy, do email me at jen at upcyclededucation.com.